Today on Crafty Thursday we are going to show you how to etch glass. 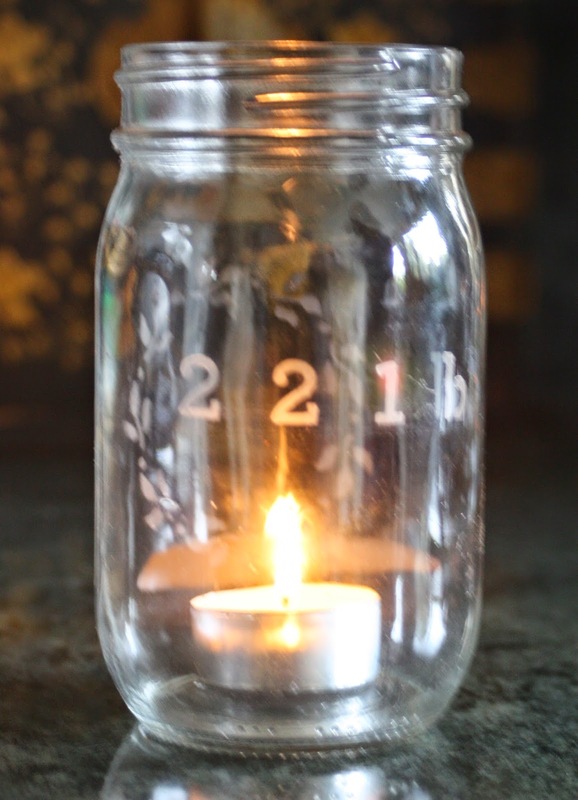 Our trial run was on a mason jar and I love the look. This project looks better in person that it does in the photos, so you'll just have to trust me. Wash your jar. Make sure there are no finger prints when you are done. Pick your stencil and determine where you want to place it. Then don your gloves and place the stencil is the desired spot. Once you have the stencil where you want it, carefully apply the etching creme on the stencil in the area of exposed glass. 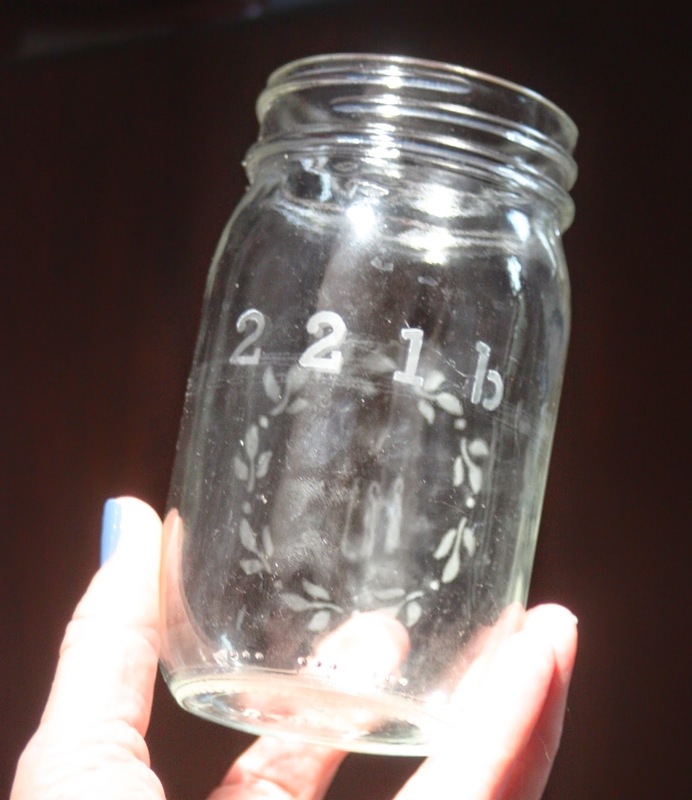 You can see in this blurry photo where the etching cream has been applied over the 221b side. You get the idea. You can see I put a little too much on here. You don't want it to drip on the glass outside of the stencil. Now for the boring part - wait 7-10 minutes for your glass to etch. Rinse the etching creme off and dry your glass. Now you just have to put the candle inside and you are done. This is really cool, and I've never heard of etching creme. Itch creme yes, etch creme no. And I was a little slow on the 221b. But I get it now! I doff my deerstalker to you! Another clever project.